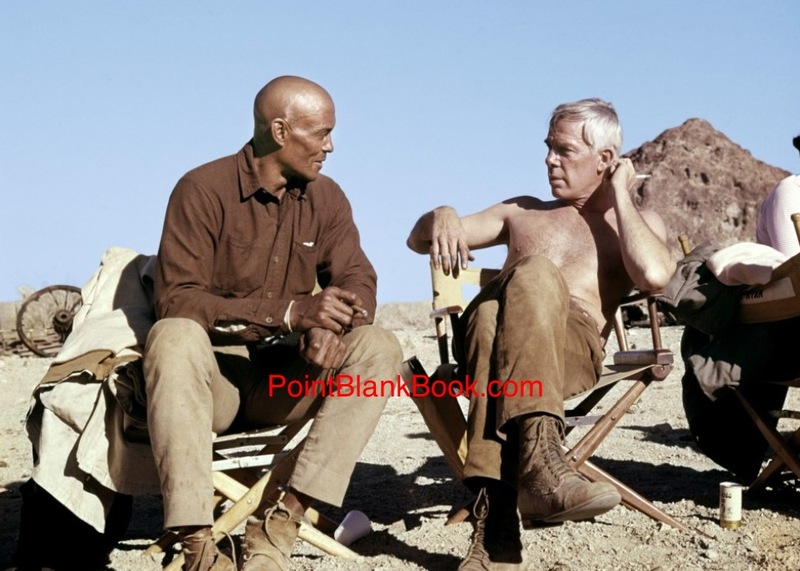 Okay, gang, here’s Part II of Who Could Play Lee Marvin, but this time around, the discussion concerns older actors who would play the older, more well-known Lee Marvin. Of course, it’s purely conjecture but it’s interesting to note that in the section in Lee Marvin Point Blank in which I consider some of the films Lee might have made, several of these actors do indeed pop up. One in particular, who would have my vote if he were not 68 years old is the great Tommy Lee Jones. 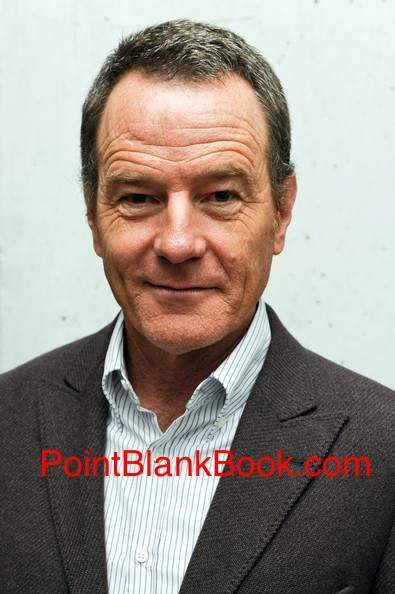 Alas, age has taken its toll on the wizened Oscar-winner, but there are other possibilities. What must be kept in mind is not only the Marvin look, but the fact that Marvin was 6 foot, 3 inches, posessor of an amazing and resonant voice and one of the most original screen presences ever. Several more enligthened folks than myself have said that for these reasons NOBODY could play Marvin and perhaps they’re right. However, it’s fun to consider the possibilites as seen below…. 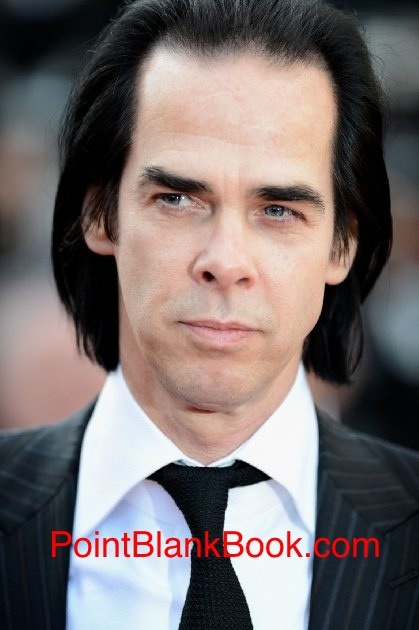 “Sons of Lee Marvin” charter member Nick Cave (there are several others on this list) is an Australian-born rock singer and Bad Seeds front man who is also 6’2″ and is currently 57 years old. 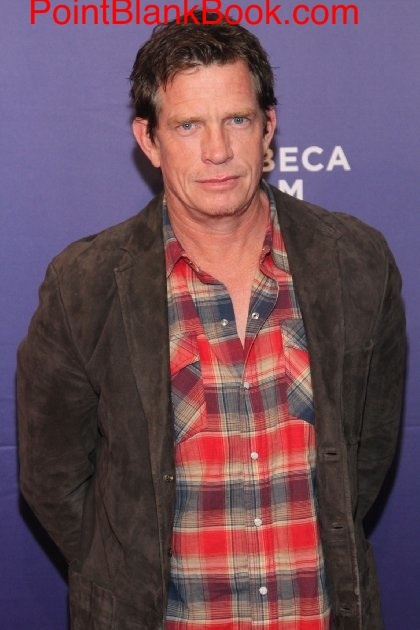 The resemblance is striking but other than a few indie films he hasn’t done much acting…..
My own personal choice, as well as that of my girlfriend, is actor Thomas Haden Church. 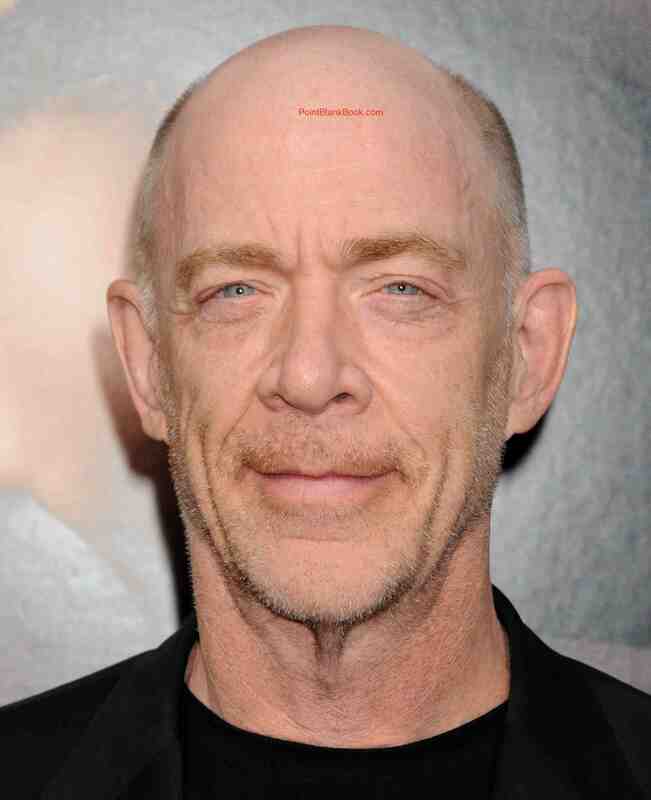 Oscar-nominated for his role in Alexander Payne’s Sideways (2004), Church is a well-known character actor and fan favorite ever since his supporting role on the NBC sitcom “Wings.” He’s the youngest actor on this list at 55-years-old and stands 6 foot even. 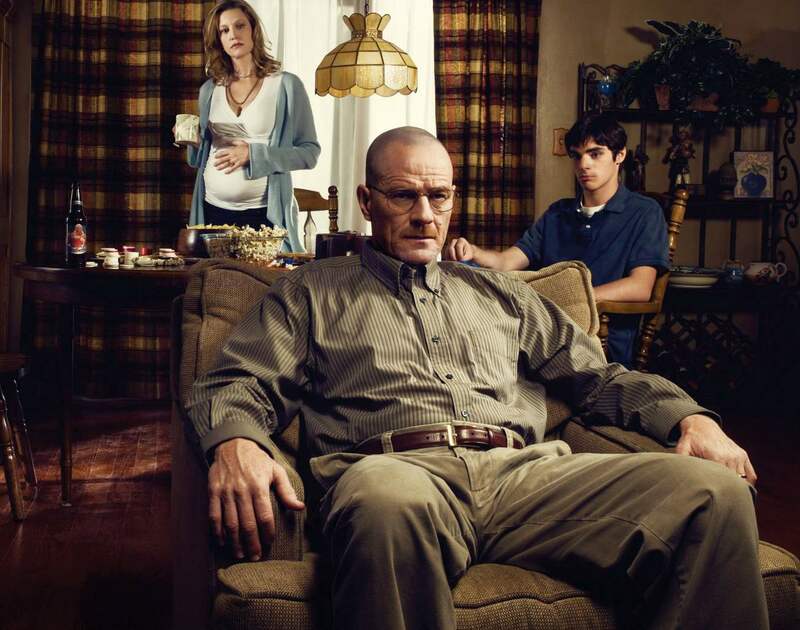 He also posesses a deep, resonant voice and his resemblance is striking. Film director Jim Jarmusch may be one of the world’s biggest Lee Marvin’s fans. As the founder of the mysterious organization “The Sons of Lee Marvin” he keeps the flame alive with his fellow brethren and even bleached his hair white to maintain the resemeblance. According to Lee Marvin’s actual son, the late Christopher Marvin, much of what Jarmusch expounds on the secret group is more mythology than fact but it does keep the great man’s name out there. 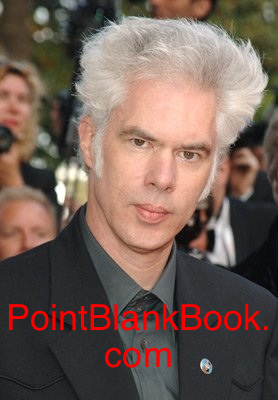 Besides his white hair, Jarmusch is also, like Lee, six foot, two inches tall. I wonder how he did that? 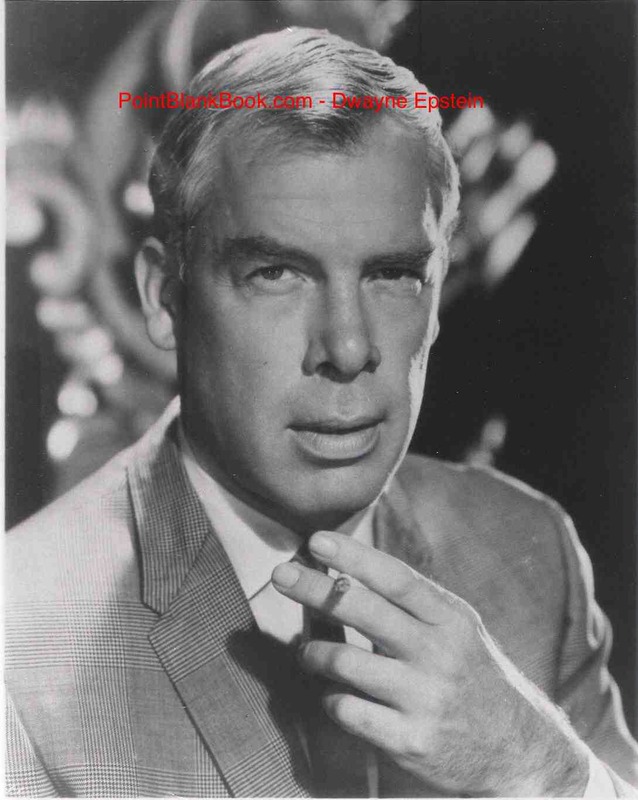 In 2011 playwright Nick Zagone mounted a production of his original play entitled, “Lee Marvin By They Name” in the city of Modesto, Calif. 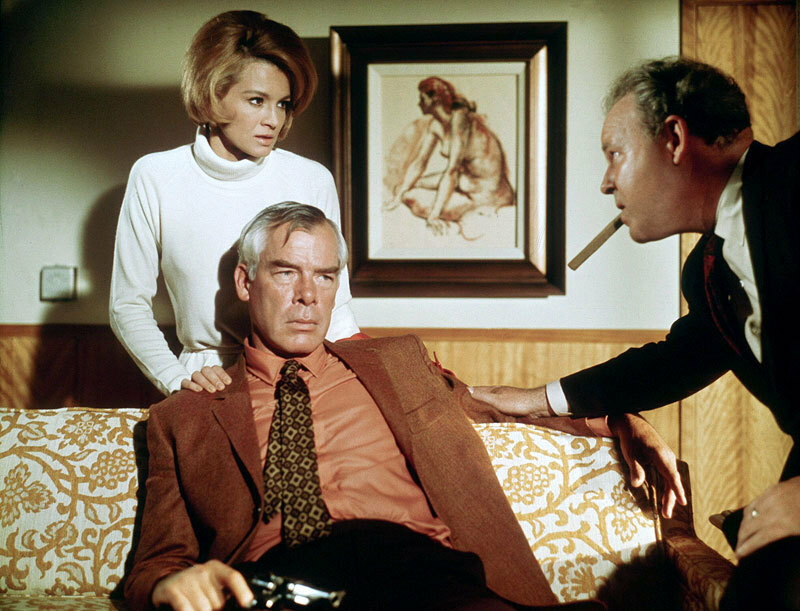 Veteran actor Jack Souza — who’s hieght and age eludes me — remains so far the only actor to acutally play Lee Marvin in a dramatic production, hence his inclusion here. Wish I could have seen it as the play itself, as graciously submitted to me by Zagone, is actually pretty good. A long time ago, I casually asked Lee Marvin’s first wife, Betty who she thinks could play Lee Marvin in a film. 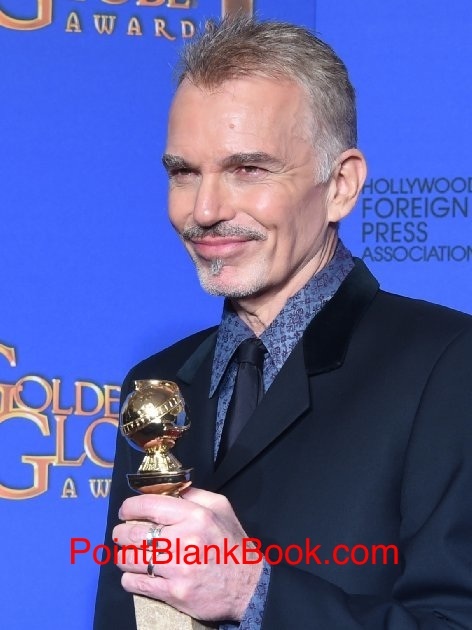 Her answer took me by surprise as it was none other than Billy Bob Thornton. She knew Marvin as well or better than anybody so I deign to her knowledge and experience in casting her vote for 59-year-old, five-foote-nine inch Thornton but for myself, I just don’t see it. 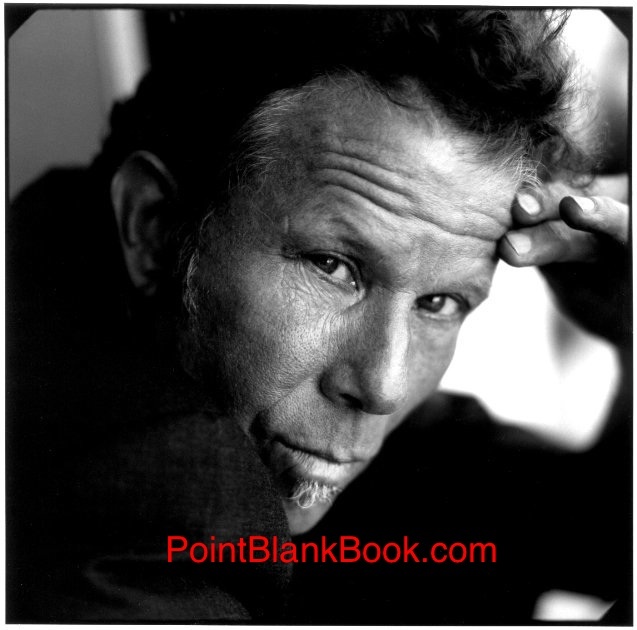 And then there’s singer/actor Tom Waits, also a charter member of The Sons of Lee Marvin. 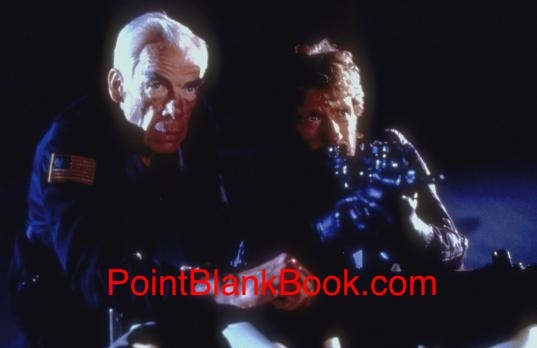 His run-in with Christopher Marvin is documented for the first time in Lee Marvin: Point Blank and it’s a version that makes more sense than Jim Jarmusch’s since Christopher played drums on Waits’ album, Mule Variations. 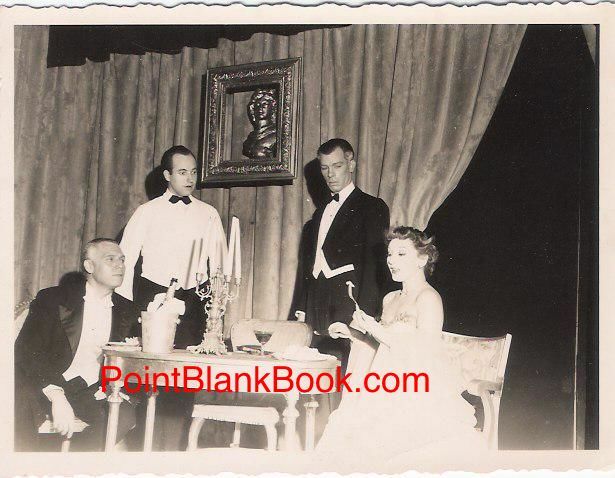 Unfortunately, the six foot tall Waits is already 65-years-old and that famous whiskey rasp could never do justice…..
Two last minute additions I completely forgot about and was recently reminded of AFTER posting this blog that absolutely MUST be considered and included. Thank you, Barbara and Claudia….